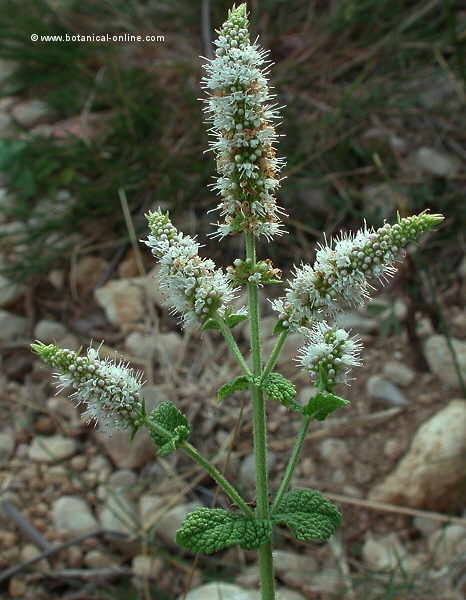 Mentha rotundifolia(Mentha suavolens Ehrh. 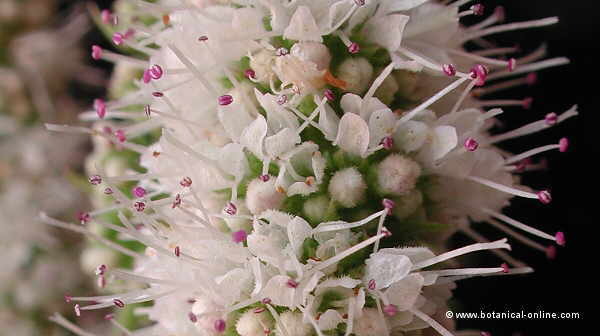 )– (mint): Perennial herb from the Mint family – labiatae– which is easy to distinguish because of its rough wrinkled leaves, very heary below and its flowers in long spikes. Corolla whitish or pink. It’ s a mint with a an unpleasant scent. Humid places.